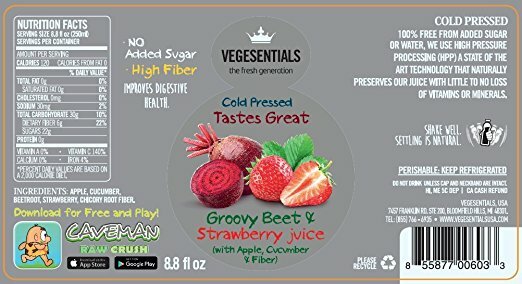 Vegesentials, the multiple international award-winning high-pressure pasteurized cold-pressed fruit and vegetable drink brand is now available on Amazon.com. 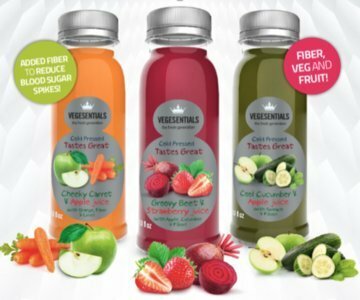 In 2016, the London-based Vegesentials Ltd. partnered with Michigan-based Vegesentials USA, LLC to manufacture and distribute the Vegesentials line of juices throughout North America. "Our biggest concern as a company is customer health," said Daniel Hoops, Vegesentials USA co-founder. "When you look at the vast array of cold-pressed juices sold on the Internet, few use the HPP technology. In addition to our juices having longer shelf life, we know that there is little to no risk of salmonella, ecoli, and other food-borne bacteria because we use HPP." 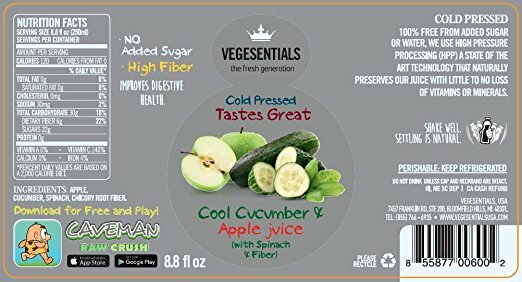 Vegesentials USA will offer Amazon.com customers the Vegesentials 8.8oz Cheeky Carrot (carrot, apple, orange, lime, and chicory root), Cool Cucumber (cucumber, apple, spinach and chicory root), and Groovy Beet (beetroot, apple, cucumber, strawberry and chicory root). The child and senior version of these juices, sold in a 4.4oz bottle, will be available on Amazon.com at a later date. For more information about Vegesentials, visit http://www.vegesentials.co.uk or http://www.vegesentialsusa.com.